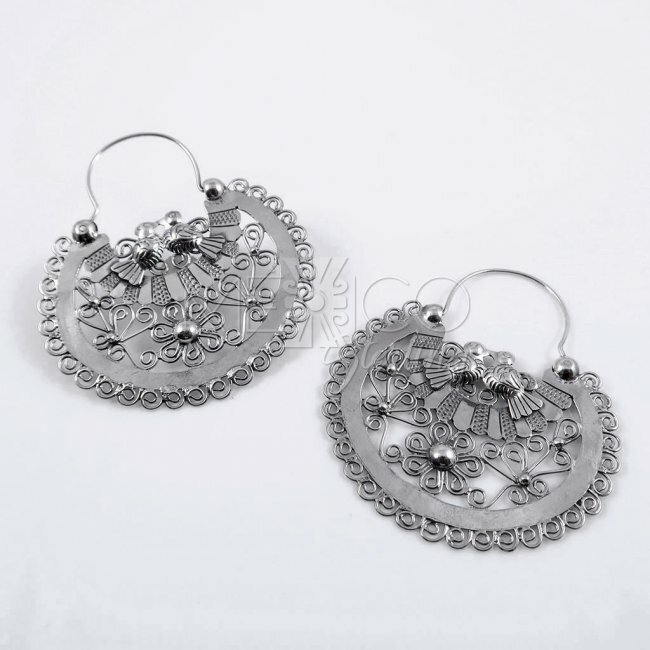 Silver Mazahua Morning Dreams Hoops [EAR3287] - $122.00 : Mexico Sterling Silver Jewelry, Proundly from Mexico to the world. 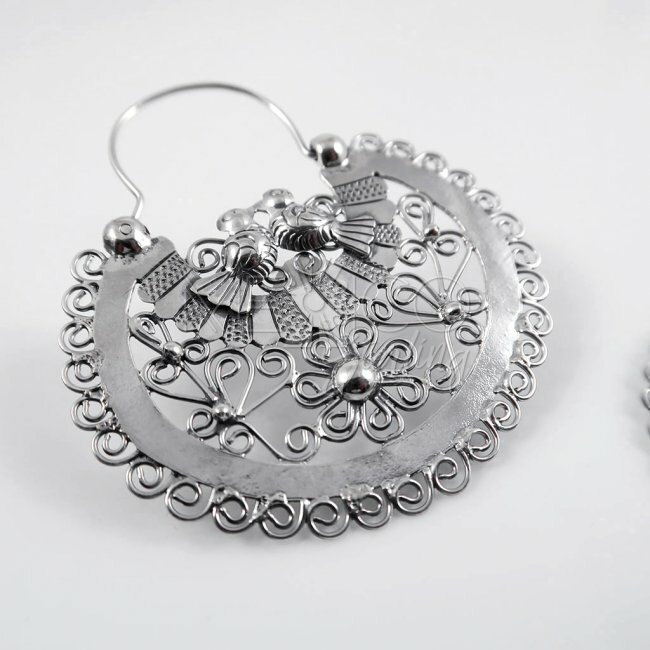 Dimensions: W: 2" L: 2 1/4"
These silver Mazahua hoops are adorable, they carry all the beautiful characteristics of the artisans from central Mexico. 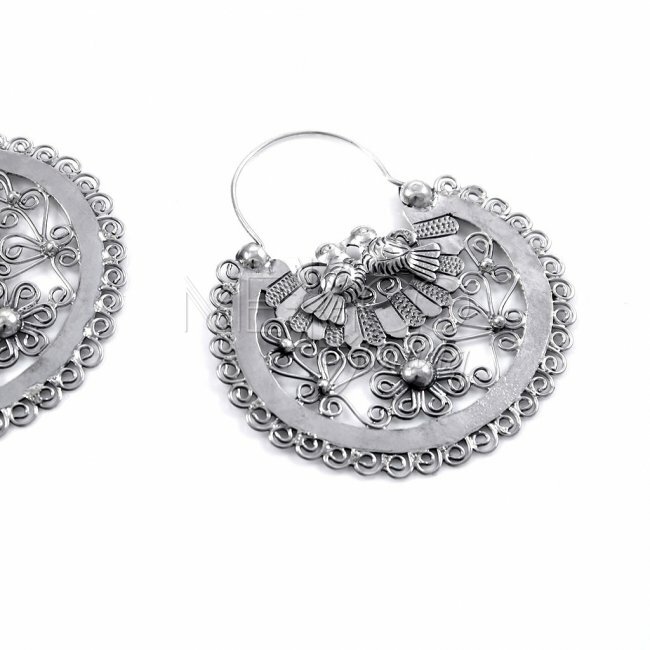 The Mazahua jewelry, always depicts beautiful nature motifs that takes us to those lovely mornings in Mexico, that's why I call them "morning dreams". 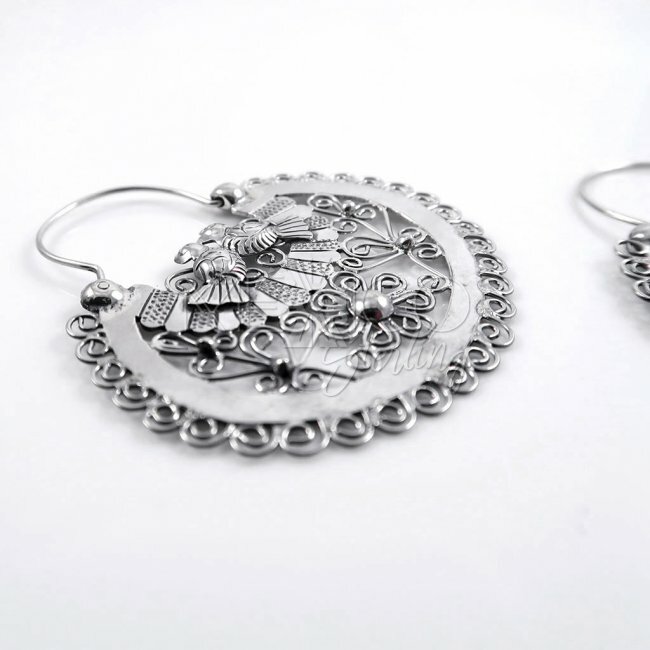 All the work on these gorgeous silver earrings are handcrafted with excellent workmanship and beautifully finished. 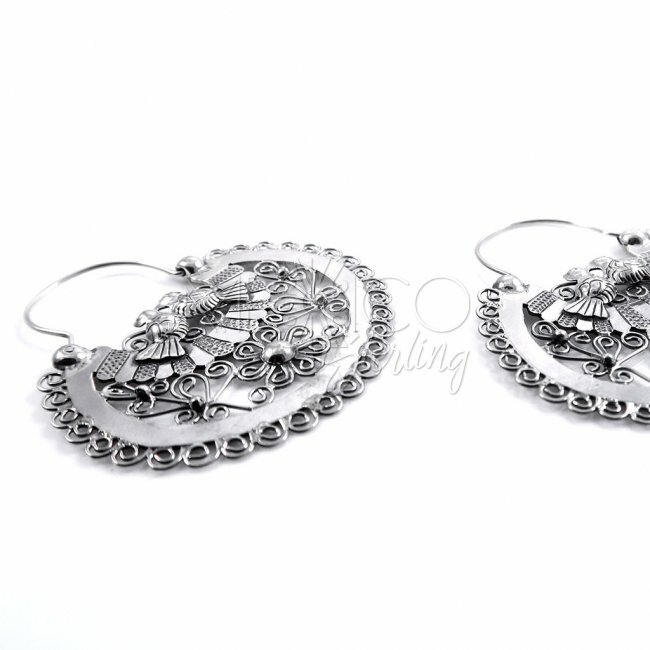 Every single line, curve or detail is well thought and created. 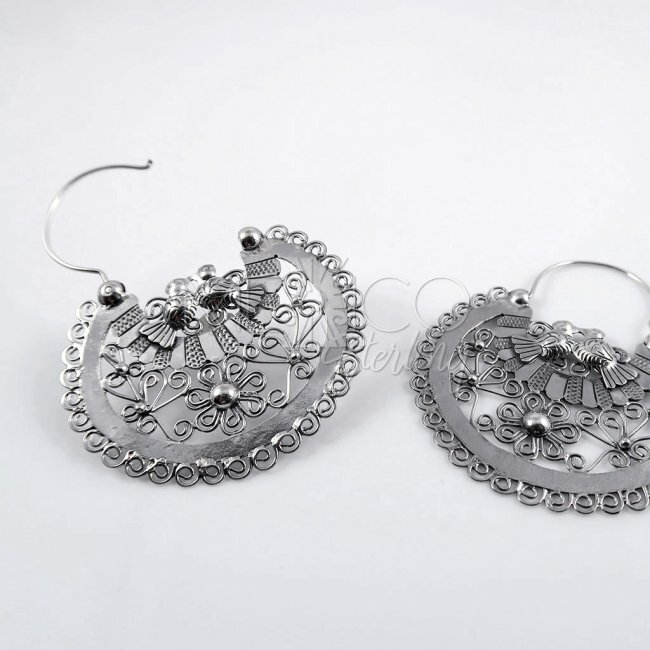 The open work or filigree is delicate and compliments the whole composition in a beautiful and artistic way. 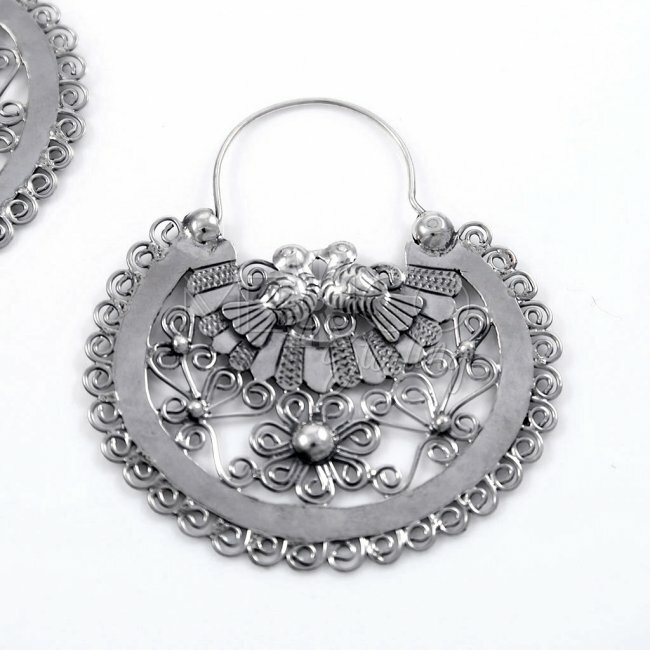 Please take a look at the extra photos, for more details on these silver hoops. Remember that we have a layaway plan for your convenience. Learn more here.